Roughly 45 percent of the readers are in the upper ranks, such as managers, vice presidents and C-level executives. LinkedIn has worked hard to become more than just a place where users connect with professionals. It has truly become a content platform. Recently, LinkedIn hit a major milestone, as more than 1 million users have written a post on the site. LinkedIn sent out an email to those million-plus content publishers, thanking them for their keystrokes. 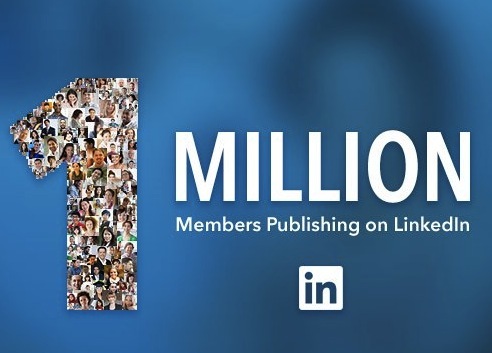 We just reached an incredible milestone for the LinkedIn publishing platform: 1 million professionals have now written a post on LinkedIn. They’ve used the platform to discuss the future of work, the state of their industries, what companies are getting it right and which aren’t and how the professional world can be a better place. Since our earliest prototype, our goal was always to find a way to unlock the incredible insights stuck in the brains and cubicles of professionals like you. We wanted to make it easy for your ideas or lessons — or even just the start of one — to quickly spark a conversation that leaps silos, companies, industries, even countries. We wanted insight to turn into conversations that make an impact. The millionth publisher? Sara Sherwani, a service designer at Telefonica in Slough, outside of London. She had attended the One Young World conference, an event gathering young, creative global minds, and shared her experiences in a LinkedIn post. Roth pointed out that the million-plus unique writers generate more than 130,000 posts per week. Roughly 45 percent of the readers are in the upper ranks, such as managers, vice presidents and C-level executives. The top content-demanding industries are tech, financial services and higher education. The average post now reaches people in 21 industries and 9 countries. Readers: Have you written a post on LinkedIn?